Other Montana towns with Crow population include ... Fort Smith, Hardin, Lodge Grass, Pryor, St. Xavier, and Wyola. The Crow people are a Native American people who historically lived in the Yellowstone River valley, which extends from present-day Wyoming, through Montana and into North Dakota. Today, they are predominantly reside on the Crow Indian Reservation in Montana (the fifth geographically largest Reservation in the United States), just southeast of Billings, Montana. The Crow are also called the Apsáalooke, meaning "children of the large-beaked bird", in the own Siouan language. Almost one half of the total Crow population still speak the Crow language at home. Many speak English and current trends indicate Crow becoming an endangered language. The Crow people give reverence to the land and sky with the symbolic references found in the various colors and shapes found on their ornamental gear and even clothing. They believe in Mannegishi, also called little people, who are bald humanoids with large bulky, pretty eyes and tiny, tan bodies. They are tricksters and are similar to fairies. Baaxpee is a spiritual power that can cause a person to mature, as well as unusual events or circumstances that force maturation. Baaxpee comes upon every human to make them into adults. After transformation, the changed are known as Xapaaliia. Andiciopec is a warrior hero who is invincible to bullets. Religious beliefs vary among Crow. Some adhere to the Crow Way, Sundance, Tobacco Society. While others adhere to Christianity: being Catholic, Pentecostal, and Baptist. As a result, the Crow do have an evangelical Christian presence. In fact, on January 19, 2015, in an act of sovereignty overriding the United State’s First Amendment prohibiting “the making of any law respecting an establishment of religion,” the Crow tribal government sponsored a large billboard sign proclaiming “Jesus Christ Is Lord on the Crow Nation”. For more information, see Crow Indian Reservation. 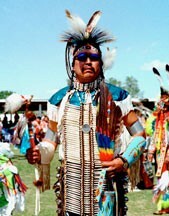 Pray for evangelical Crow to take Othe mission to less reached Native American peoples. Pray that evangelical Christians will be a light in word and deed to Crow people who have experienced a personal relationship with Jesus Christ.